Sports Rendezvous: Blessing Okagbare: Nigerian sprinter sets new African 200m record. Blessing Okagbare: Nigerian sprinter sets new African 200m record. Okagbare set the new record with a time of 22.04 seconds at the Wes Kittley Invitational in Texas. 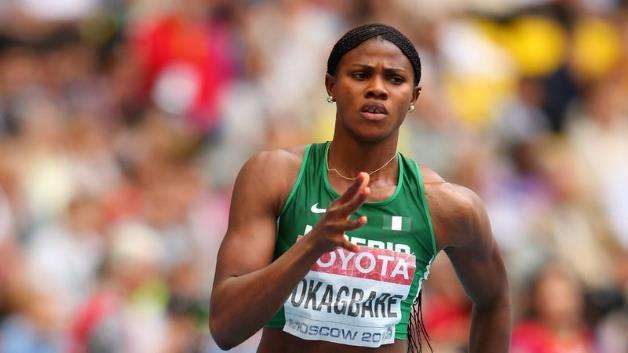 Nigeria’s sprint queen Blessing Okagbare-Ighoteguonor on Saturday, March 25 set a new African record in the 200m event ahead of the 2018 Commonwealth Games. Okagbare set the new record at the Wes Kittley Invitational at the Abilene Christian University in Abilene, Texas, USA.